Before we get started, let me just say there's a lot of information on this page. We highly recommend you read it all though, as it will have the answers to almost all of your ordering questions. Before we get into that though, yes we do offer Free Shipping. If your retail order is $99 or more and you're shipping to the lower 48 United States, we'll throw in ground shipping for free. Here at PoolDawg, pool cues are our business. We've got thousands of products, and nobody stands behind products like PoolDawg. Unlike other online "stores", PoolDawg has REAL live help from ACTUAL human beings. We don't have online chat tools because unlike other websites, we actually want you to call and talk to us. We even added a team page in case you wanted to find out a little more about the people behind the dawg. PoolDawg offers FREE SHIPPING on all orders over $99. This offer is for ground service to the 48 contiguous United States using UPS or USPS. Offer not valid for orders shipping to AK, HI, PR, GU or any domestic or international locations outside of the 48 contiguous states. Place your in-stock order before 1:00 pm MST Monday through Friday, and your order will be rushed out the door that same day. As long as your request is in stock we guarantee the very best turn-around time. If for some reason we don't get it out that day, we'll make sure to contact you in the event of a stock outage or other delay. Please note that PoolDawg reserves the right to require a signature on any package. In addition, please be aware that UPS will require a signature based on the individual driver's discretion. 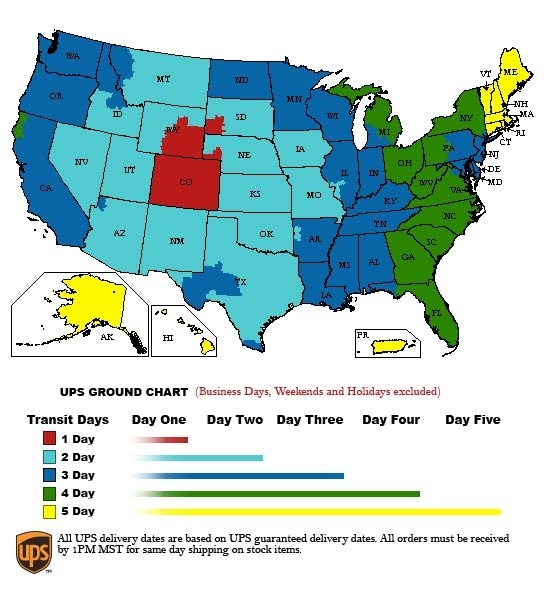 Regular ground shipping within the 48 contiguous United States takes any where from 3 to 6 business days. Time in transit quotes and scheduled delivery dates can be located at the UPS web site once you receive confirmation of shipment and a tracking number has been issued. Please note that Saturday and Sunday are not considered business days by UPS or USPS. Shipping charges may be calculated by adding items to the shopping cart, entering your zip code, choosing a shipping method and clicking the calculate shipping button. Please be advised that PoolDawg.com only collects sales tax for orders originating from the state of Colorado. Customers placing orders from any other state or country are responsible for any taxes or tariffs that their local governments may apply. 1. Choose an item you would like to purchase and click the image or product name to open the product details page. 2. Select the appropriate weight, size or color and quantity. 4. Add any additional items by clicking the Products Navigation buttons.